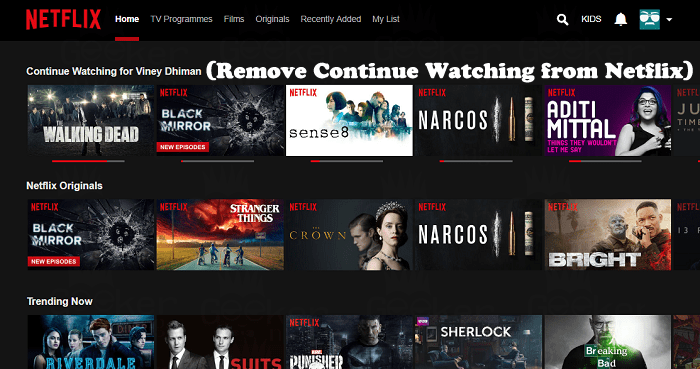 In the following tutorial, you will read step by step guide on how to remove Continue Watching from Netflix site’s homepage. Netflix is the popular online media streaming and video on demand & DVD online by mail service. On the website, you can stream latest and favorite Movies, TV Shows, originals and other stuff right on your Gaming Console, Smart TV, PC, Mac, Smartphone and other gadgets. All this just at a very reasonable price. Movies and TV Shows are divided into different categories so that users can pick what they want to see. 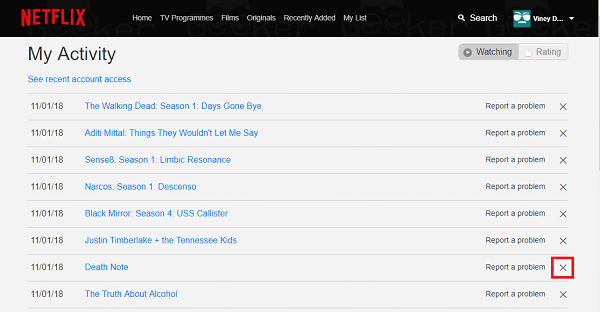 Netflix has a useful feature named as “Continue Watching” list appeared on the homepage. Now, what this feature is about? The moment you start streaming TV shows, and Movies on the Netflix, whatever you watch get listed to the Continue Watching list and start appearing on the homepage of the Netflix site. 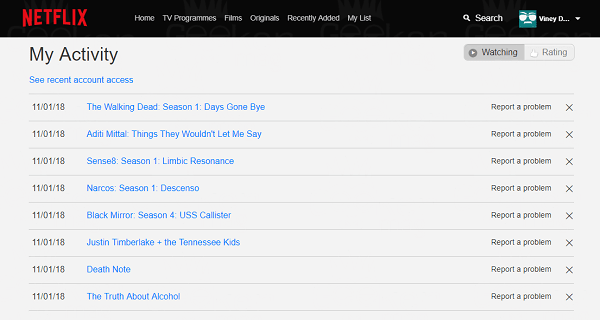 The purpose of the adding Continue Watching list is to remind users that what they start watching is still not finished and if users want they can continue watching the unfinished shows just by making a single click. 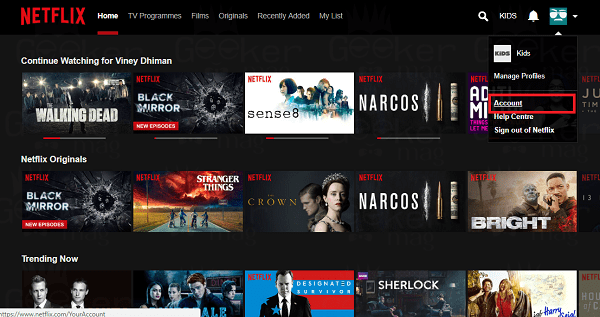 This is a useful feature as users don’t have to search the whole Netflix store again to locate the same TV Show or Movie to start watching it. But this work feature won’t help users all the time, especially when you have stopped watching a favorite tv show or movie a long time ago. Sometimes TV shows and Movies keep appearing on the Continue Watching list even if you have finished watching a show to the end. There might be users who want to clear items from this list, and for that, you need to complete the show until the end. This is not a great option to handle this situation. Right? There is a way using which users can remove items from Continue Watching list. For doing, you need to follow the steps discussed in the upcoming lines. 1. On the Netflix website, you need to hover the mouse on the down arrow and from the options click on Accounts. 3. 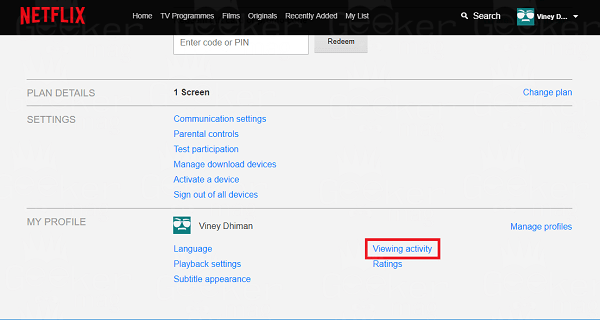 This will launch the Viewing activity page. Here you will get the list of all the movies and tv shows which you have streamed in an order starting from the latest shows. Also on the list, there is no distinction made which confirms whether you have finished watching the shows or still it is in-between. You just need to look for the name of the show on the homepage and locate same on the My Activity page. To remove the same item from Continue Watching from Netflix site’s page, you need to click on the Close icon (X) next to the name of the show. If you remove the item from Activity list, the same will be removed from all the all device on which you’re using the Netflix. Netflix also states that the item may take around 24 hours to remove the item from Viewing Activity and Continue Watching list on the homepage. The same can also affect the Netflix recommendations. Why don’t you give a try to my this tutorial on How to Remove Continue Watching from Netflix Home List. I hope you find it useful.